As I was checking out at the grocery store today using a big supply of coupons, the man ahead of me was buying one can of pineapple juice. "You could have gotten that for free," I thought in my head as he dished out a dollar and change. 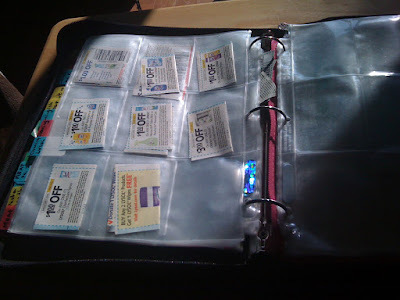 Today was the first day in a several months that I actually collected coupons and made a list before I left on a tour of two grocery stores and Walgreens. I used coupons for Lysol cleaning supplies, Purina cat food, cheese, vitamins ($4 off), shampoo (Aussie), toothpaste and brushes (Crest) , dish soap, frozen veges (Steamers), Land-0-Lakes butter, Tide laundry soap, and one Christmas gift for you (Sandy). The BEST deal was Cheerios. Got a large box for $3. (Actually, got three boxes.) Oh, and I got jars of Claussen pickles for 99-cents each with a sale and my (expired) coupon. Also, shaving cream and razors. Don't need bath tissue or Kleenex, but could have got that too. I'm waiting for a cream cheese sale to use this week's coupon on that. Pineapple would have been free, but I forgot it. So, don't give up. 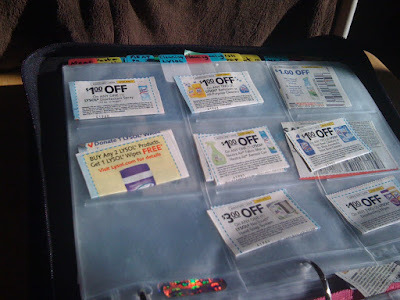 Keep on the lookout for coupons for things you use. It really does make you feel satisfied at the end of the day and want to share the fun with everyone. 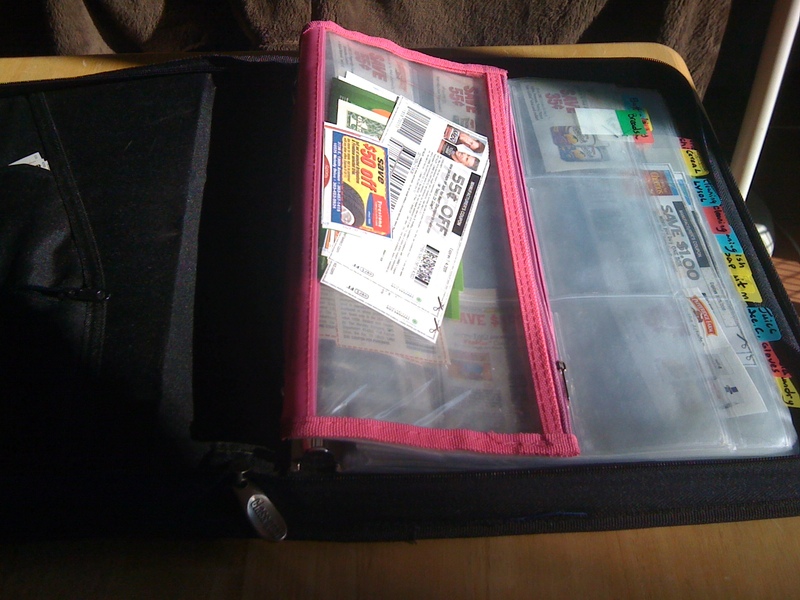 Today's Sunday paper (July 31, 2011) has a nice article in the USA Weekend insert about couponing. 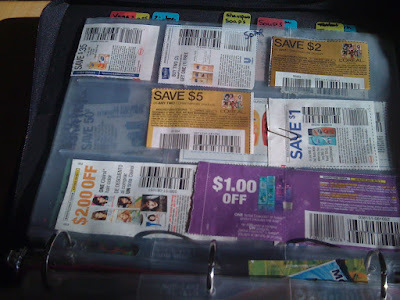 It's not an Extreme Couponing article, but offers some helpful information and excellent websites for understanding how to save money with coupons. Just sitting down with the Sunday newspaper and clipping offers your family will use. The Sunday paper is still the biggest bang for your buck. Memorize the prices of your commonly used products. Then you will know a sale. Buy when these products are on sale and then use your coupon. Don't ignore mass merchandisers such as Target and Walmart. Try store brands, even though manufactures coupons won't work on them. Use Loyalty Cards...such as Kohls, Kroger, and more. Ask if your store has one. Use technology apps like CardStar and Key Ring to manage your store loyalty cards. In my case, I've been out of work for a few months, so we've been living on our "pantry stash" for awhile. 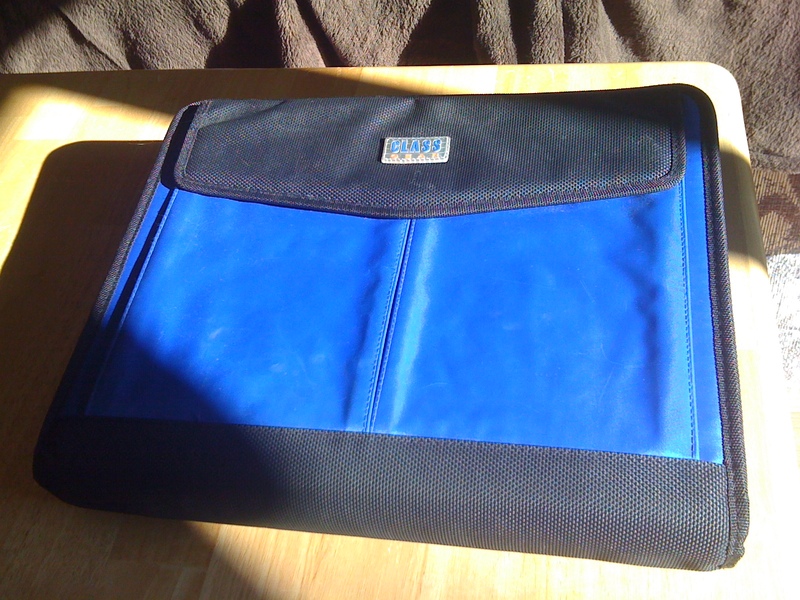 It has been a lifesaver. I recently returned to work as a Registered Nurse and will start looking for the best deals (on sale) and using multiple coupons (often purchased online) to stock up again. I hope you can find that article in today's Sunday paper. Take advantage of free entrance fees to a national park near you. They are offered several times a year, and Tuesday, June 21 is next. Don't forget that Tuesday, June 21, 2011 is a free day for national parks. Here's a link to see if there's one close to you anywhere in the USA. We're thinking of going to the Rocky Mountain National Park on Tuesday. The road is finally open, and it usually costs $20 per car or $40 for a season pass. As I posted last week, I ordered Small Steps coupons from eBay when they came out in the Sunday paper. The coupons cost me 8-cents each. When they arrived, the conditions didn't match the ones that came out in the paper although, at first glance, they looked the same. The on-line coupons indicated the bath tissue had to be 12-packs and paper towels 2-packs. Facial tissues weren't even listed on the coupon. I decided to give them ALL a try at the check-out anyway. Bath tissue was four-packs. (They only come in four-packs!) Single rolls of paper towels instead of double. (They don't even come in double sets!) And several boxes of the Small Steps tissues that weren't listed on the coupon. The cashier not only ran them through, but they didn't even 'ding' the register. She commented that it was almost like the TV program, Extreme Couponing. Well, after the first batch went through without a hitch, I went back for more and returned to the same cashier. NONE OF THE COUPONS MATCHED WHAT I GOT EXCEPT IT WAS ALL SMALL STEPS BRAND! The best news is that we starting moving into our new home tomorrow, and the free toiletries will go in first! In my last entry I mentioned that the Small Steps coupon was good for an 8-pack. I was wrong. The $1 coupon is GOOD for a 4-pack of TP that normally sells for $1.25 or $1 on sale - making it FREE. With three coupons, I went to Albertson's yesterday and had absolutely no problem getting two packages (4-rolls each) of toilet paper and one box of 'Kleenex'. Because they weren't on sale, I paid 33-cents each. 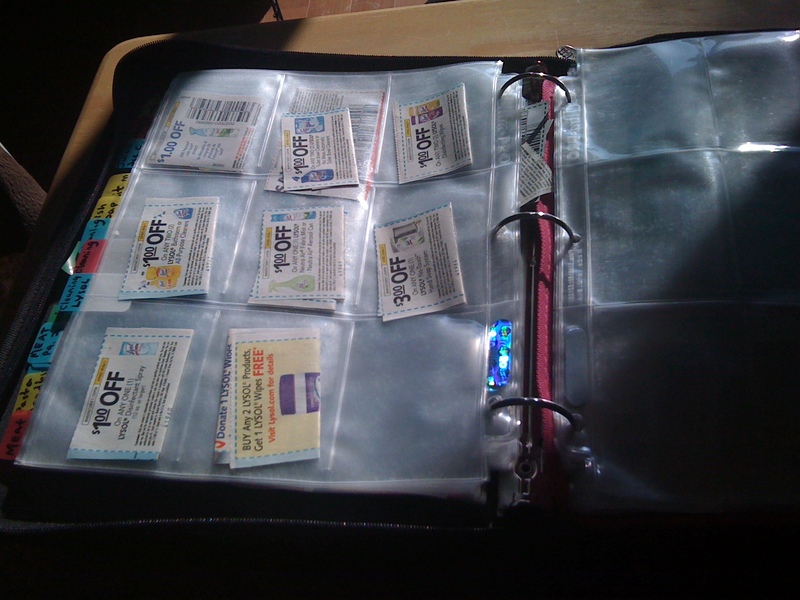 I can't wait for my 20 coupons to come in the mail. I'll slip in and out of Albertson's until I have a good stash once again. I believe you can do that with paper towels too. This is why I haven't paid for bath tissue or facial tissue since I started shopping with coupons. 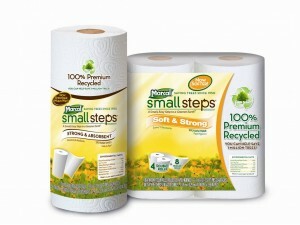 Every few months, the Sunday paper comes out with Marcel Small Steps coupons worth $1 off paper towels, bath tissue, or napkins. This makes it FREE when on sale or maybe 25-cents each if not on sale. Today, I ordered 20 Marcel Small Steps from Ebay for $2 plus 65-cents. You can usually only order these when the coupons have been published in the Smart Source of Red Plum. (I can't remember which.) If you don't do eBay, you can order online from "Dede" or HERE but that website is out of Marcel coupons today. So, you really don't have to buy the Sunday paper to get this great deal. We only have one store in Denver that I know of that sells Small Steps, and that is Albertsons. If anyone knows of another store, please let me know.